The Jetta is an ideal example of precision German engineering, and the 2019 Volkswagen Jetta accessories make it clear that the automaker has thought of virtually any need a Chicago driver may have. From new Volkswagen Jetta wheels to all-weather floor mats to exterior accents. Mike Haggerty Volkswagen is here with some of our more popular Volkswagen Jetta accessories — but this is just the tip of the iceberg. Jetta Sun Shade – hold the sun at bay and keep your Jetta cool. Universal Tablet Holder – slide onto the back of a front headrest and let your rear passengers watch or play games on a tablet. Sport Pedals – not only do they give your Jetta interior a sportier look, they help improve traction between your foot and the pedal. General Car Care – floor mats, floor liners, and seat covers all help to keep your Jetta interior looking great. WeatherTech Cargo Liner – this liner helps keep any gunk or debris from damaging your Jetta trunk lining. Trunk Organizer – keep your driving essentials — like a first aid kit or toolbox — from sliding around, or just have a nice place for your groceries. Spare Tire Kit – fits conveniently in the trunk and includes everything you need to replace a tire. Rain & Mud Guards – protect your Jetta from the elements so its shining style can be seen by all. Jetta Rims and Wheels – give your Jetta a style upgrade with a new set of wheels. 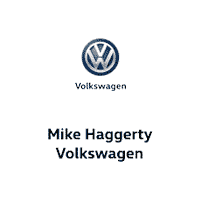 Mike Haggerty Volkswagen is a trusted source for a brand-new Jetta, as well as Volkswagen parts to help make that Jetta your own. Our parts department can help you choose the Volkswagen Jetta accessories you need — we can even install them for you. We also carry exciting accessories for the models like the VW Beetle and the VW Tiguan! Contact us if you have any questions or just fill out our parts order form.